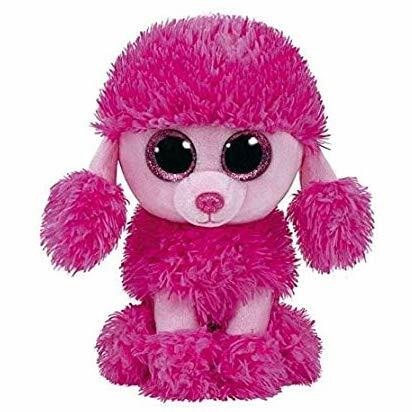 Patsy is a pink poodle with bright pink, scruffy fur on top of her head, on her ears, around her body and on her feet. She has large, glittery pink button eyes and a bright pink button nose. I’ll sit very quietly on a chair! Patsy was released on 1st July 2016. Her Birthday is on 9th May.